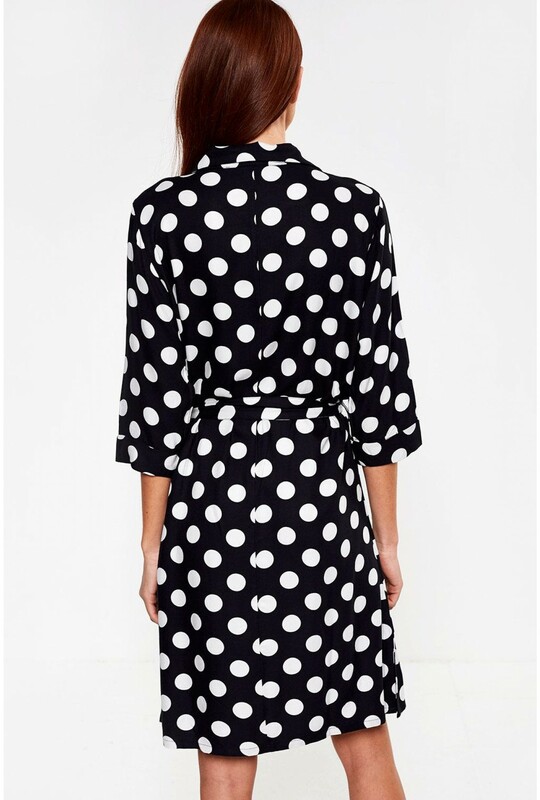 We are going dotty for this shirt dress from JDY! Featuring three quarter sleeves, button up front, split sides and a tie-waist belt for added definition. This shirt dress has endless styling options, team with trainers for a casual look or with heels and a red lip for date night. This piece works equally well as a kimono, wear open with a cami and our coated margo trousers.